Hey Everyone! Migz here with PolarPro for another DJI Osmo Pocket tutorial. We have had a lot of questions about the hyperlapse and motionlapse features so we wanted to break it down so that you can use them confidently during your next shoot! Let's start with the basics. Hyperlapse and motionlapse are two video techniques that are a form of timelapse, where a video is created by stitching together group of images and sped up in post production to portray time passing. The added movement to these videos creates a more dynamic look and perception. Let's first talk about motionlapse which, as the name alludes, is a moving timelapse. In photography, the use of a slider is needed to shift the camera left or right between each interval after an image was taken or by panning in a particular direction for a smooth, lively feel. 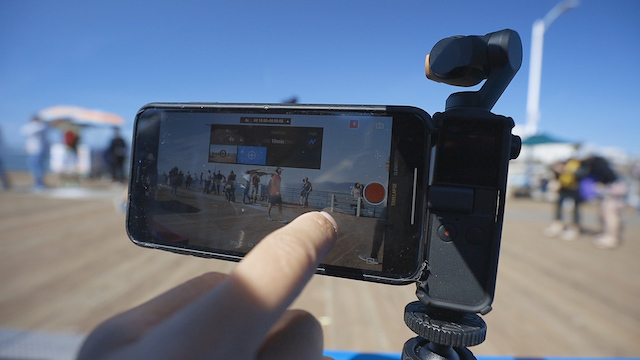 DJI made it so easy to do a motionlapse with the Osmo Pocket by simply sliding down to the timelapse tab. There you will find the interval and duration that the Osmo Pocket will shoot for. Adjust accordingly to your desired look or vision! To get started, select the "path" icon to activate the dropdown menu for the start and stop positions. Next, choose your starting point and select the "+" button. Once your starting point is chosen, pan the camera over to your end position and once again select the "+" button. The final step is pressing the record button and letting the DJI Osmo Pocket do the work. 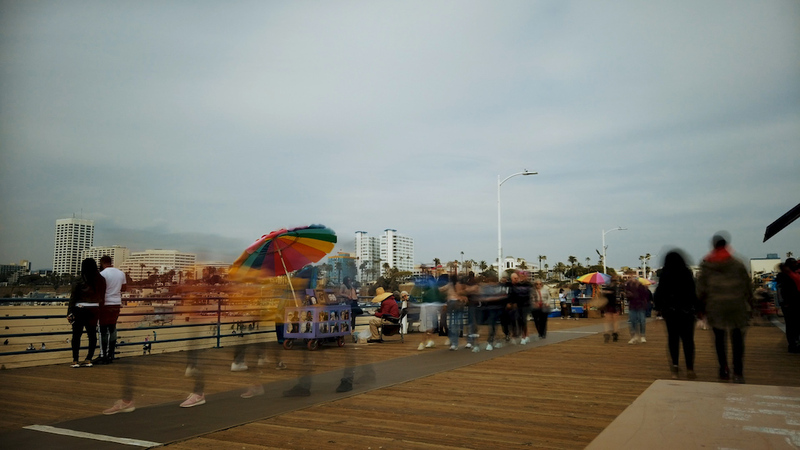 The other neat features are the ability to select and remove up to four points and slow down the shutter speed to add motion blur creating a more dynamic and dramatic scene. The issue that arrises when slowing down the shutter speed is that it lets in more light leading to an overexposed shot. This is where a set of PolarPro ND filters for your Osmo Pocket come into play. In my case, I chose the ND64 filter for a reduction of 3 stops to allow for awesome footage at the desired shutter speed. Now let's move on to the hyperlapse which is essentially another form of a motionlapse without the spacial constraints. 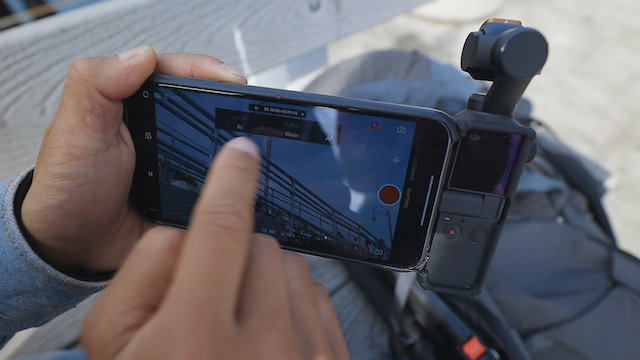 With the ability to remove the DJI Osmo Pocket from the slider or tripod, movement over a considerable amount of distance while still shooting makes for an even more dynamic feel. Shooting hyperlapses on the Osmo Pocket is a little different than on a traditional DSLR/mirrorless camera. This is because the DJI Osmo Pocket does not have a hyperlapse feature, instead relying upon the active track feature to create the same effect. To get started on your hyperlapse journey, find your subject and mark it using the active track function. This will keep the gimbal locked and in focus on the subject no matter the movement towards or away. Press record and start moving forward or backward from your subject until the desired video is captured. 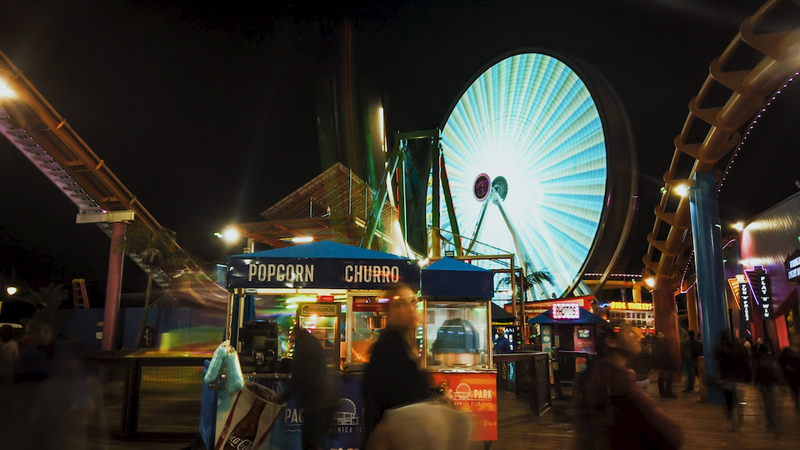 Taking this video into your editing software will be the next step to an awesome hyperlapse. There are two adjustments to be made, first is increasing the speed by 1000% or more and the the second is stabilizing the video for a smooth finish. If you are like me and use Adobe Premiere, there is going to be an added step of "nesting" your video prior to stabilization. Keep in mind that the DJI Osmo Pocket only permits a low point of 25fps in video mode which will generally not capture much motion blur in comparison to a motionlapse. I hope that this helps you determine the difference and what method fits into your next project. 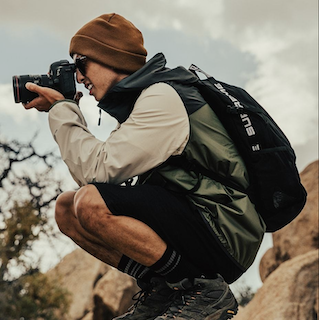 We are a group dedicated to providing solutions and answers to issues out in the field and wish that you select our DJI Osmo Pocket filters and accessories to increase your productivity and workflow. Shop Osmo Pocket Filters & Acces.